Shop is a Free Responsive Ecommerce Template equipped with Bootstrap, jQuery, CSS and more. 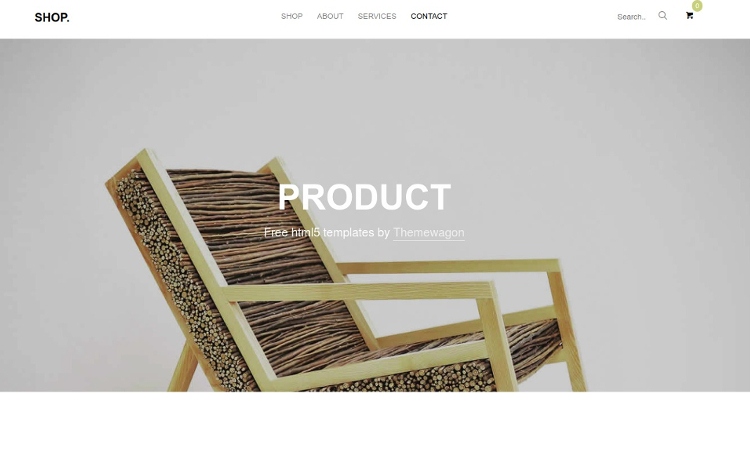 A free HTML5 template ready for any ecommerce website. Themewagon is the no 1 Free HTML5 templates provider in the world and it continues to provide you more. Today’s freebie is a Free Responsive Ecommerce Template. This multipage free website template has every functionality to suit any e-commerce or shop’s website online. Firstly, the free HTML template contains 6 unique demo pages. Let’s me walk you through the pages alongside other noteworthy features as well. The Homepage has multiple parallax enabled sections. On top, there is the navigation bar (which is available on every page). It welcomes you with a slider header banner, thanks to owl carousel. Additionally, there is a testimonial section, a count up counter and an email subscription newsletter section as well. The About page lets you demonstrate you and your shop’s history and vision. It’s can also accommodate the introductory elements for the introduction of your team. Upon hovering over the Services section on top, you can see a drop-down which can easily be made functional. This section helps you to show the services you might offer to your customers. A Contact form UI is available too along with Google maps scheme. Unfortunately, it’s not working; if you know a little PHP, you can implement that feature easily. Among other features, this template is created over the brilliance of Bootstrap. So, it ensures down to a single pixel responsiveness in any platform. Moreover, this free Bootstrap template also contains feature like a Search box, back to top button, ghost button, shopping cart etc. Furthermore, SASS files are also available for in-depth customization. Lastly, but most importantly this Free Responsive Ecommerce Template has a Single product page. From here every single product’s details, specs or customer feedbacks can be seen. Not only that, that product can be compared or added to cart as well! Please note that all of the functionality might not be present right away but the UI is ready for sure! More niche specific templates are available for you in our business & corporate section. ThemeWagon also holds some of the best HTML templates you can think of. So, feel free to explore. In addition, our flagship product Posh is highly commendable. So is our other quality-checked products.